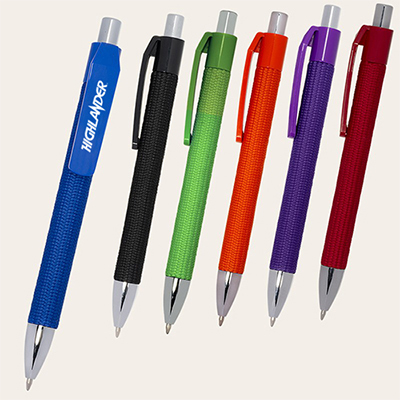 Custom Promotional Javalina Jewel Ballpoint Pen: Give your brand a lot of attention! 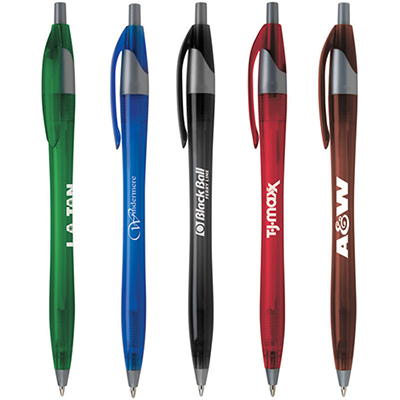 The custom promotional Javalina Jewel Pen will make a great addition to your marketing campaign! 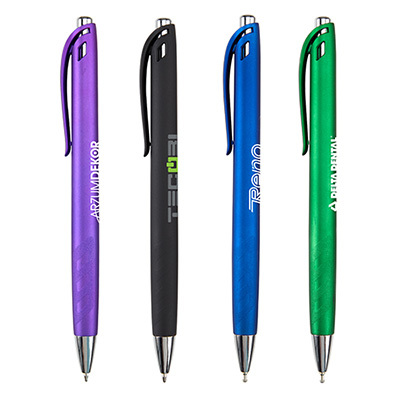 Available in five translucent barrel colors and featuring silver accents, this pen will serve as a perfect backdrop for your brand and message. 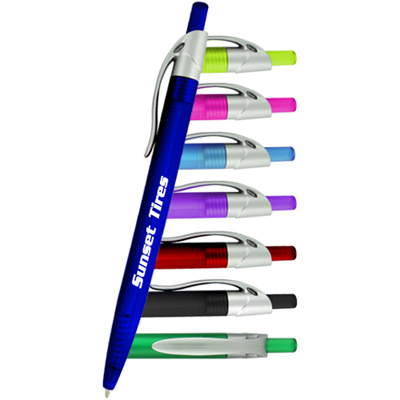 Order these pens in bulk for your next trade show or mailer campaign! Translucent barrel is sure to grab attention!